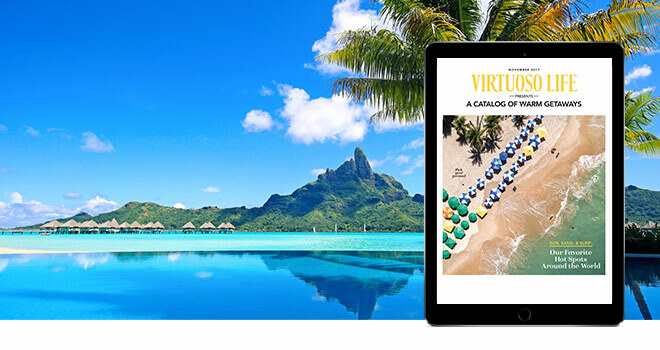 If you’re not quite ready for winter, sample the warm-weather escapes in the following pages. Whether your style is seaside in the Seychelles, hula on Oahu, or spa time in Scottsdale, we have the connections and experience to customize your journeys, all while securing the best perks and privileges along the way. News on navigating the world. Eight noteworthy destinations for your next winter escape. Virtuoso travelers take selfies in Bora-Bora.